Former Deputy FBI Director Andrew McCabe was controversially fired by Attorney General Jeff Sessions late Friday night. This firing occurred less than two days before he was eligible to receive his pension. While the firing has been denounced by nearly all Democrats, the response from Republicans has been mixed. Today on NBC’s ‘Meet the Press,’ host Chuck Todd asked Florida GOP Senator Marco Rubio if he approved of the way McCabe was fired. 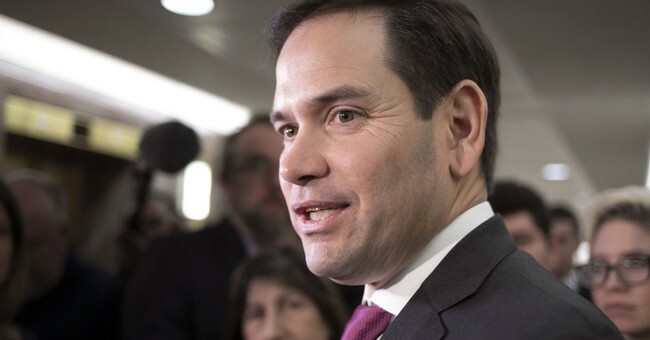 Sen. Rubio condemned the action that he would have done it differently. “I don’t like the way it happened. He should have been allowed to finish through the weekend,” Sen. Rubio told Todd. But, Sen. Rubio also made that clear that folks like McCabe at the FBI and DOJ need to be held accountable, but cautioned that these issues should handled very carefully. Perhaps the harshest, or at least most inflammatory, criticism of President Trump's decision to fire McCabe came from former CIA director John Brennan. On Saturday, he called the commander-in-chief a "disgraced demagogue in the dustbin of history." Author's Note: This article originally attributed Andrew McCabe's firing to President Donald Trump. This has been fixed.